You are currently viewing Archived reports for the week of 15 February-21 February 2006. 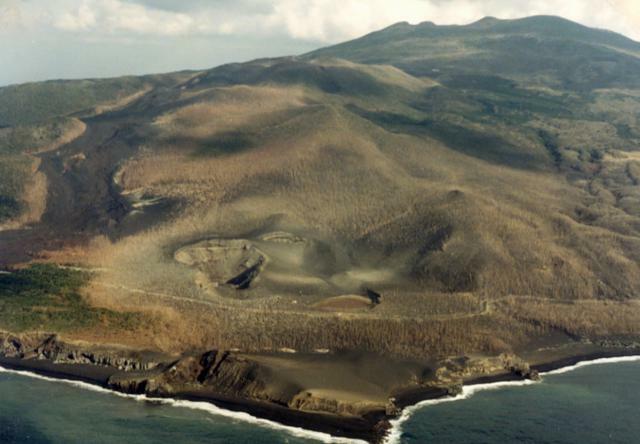 During 13-20 February, seismicity continued at Galeras, with an average of about 190 small earthquakes occurring per day. A flux of about 200 metric tons of sulfur dioxide was measured daily. 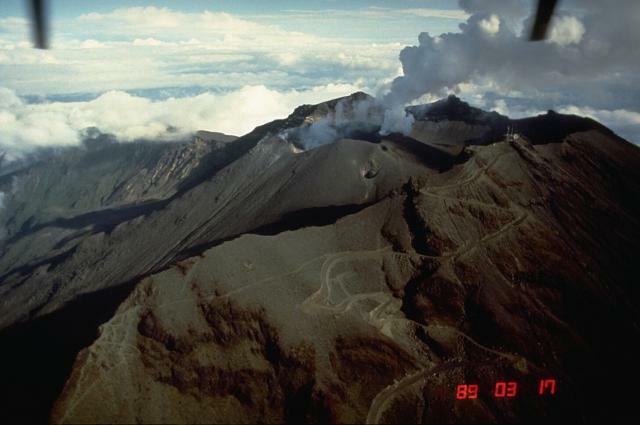 Steam and gas rose to ~1.1 km above the volcano (or ~17,600 ft a.s.l.) on 19 February. Incandescence was visible at parts of the lava dome. The volume of the lava dome in the main crater was approximately 1.5 times larger than when it was first observed on 13 January. 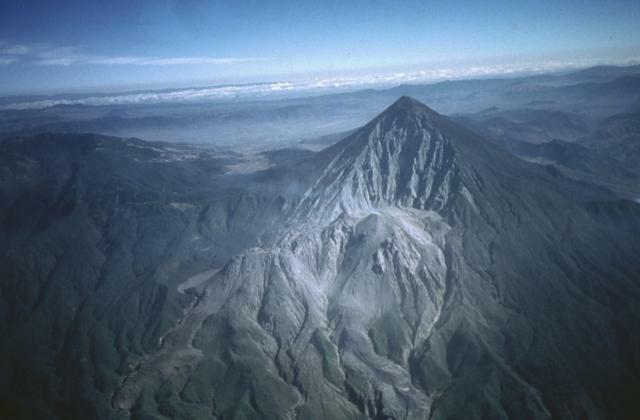 Galeras remained at Alert Level 3 ("changes in the behavior of volcanic activity have been noted"). Note: It was incorrectly reported in the 8-14 February Weekly Volcanic Activity Report that on 8 February pyroclastic-flow deposits were found at Galeras. Pyroclastic-fall deposits were observed. During 10-17 February, a large thermal anomaly was visible at Karymsky's crater and numerous ash plumes were visible on satellite imagery. Karymsky remained at Concern Color Code Orange. During 16-20 February, no surface lava flows were visible on Kilauea's Pulama pali fault scarp, which had been the case since 8 February. Several streams of lava poured into the sea from the lava delta at the East Lae`apuki entry. Background volcanic tremor was at normal levels at Kilauea's summit, with shallow earthquakes continuing to occur beneath the summit area and the upper east rift zone. 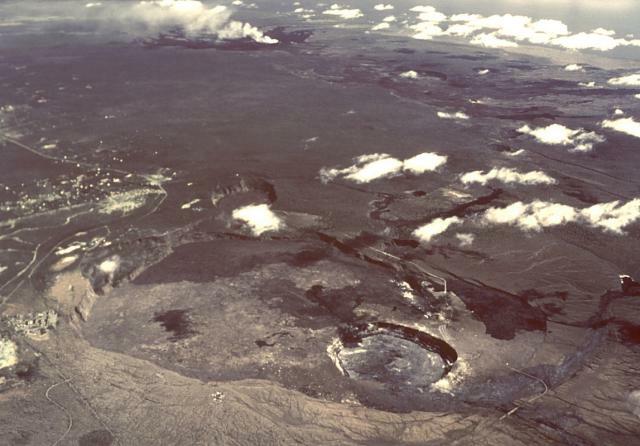 Volcanic tremor reached moderate levels at Pu`u `O`o. 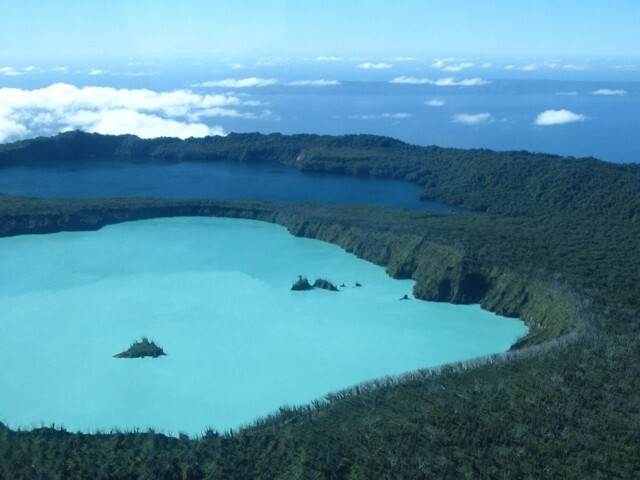 RVO reported that during 30 January to 15 February, Rabaul caldera's Tavurvur cone continued to be relatively quiet. Variable amounts of gas were emitted from an active fumarole at the summit area on the upper part of the W flank. An average sulfur-dioxide flux of 200 metric tons per day was recorded and seismicity was at low levels. 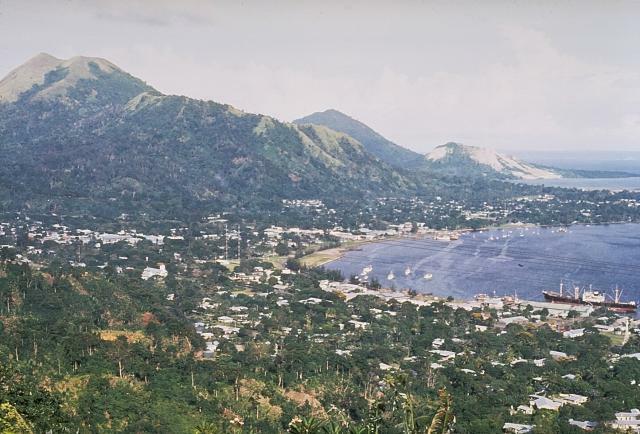 According to the Darwin VAAC, ash from Rabaul was visible on satellite imagery at a height of ~3.7 km (12,100 ft) a.s.l. on 17 February. 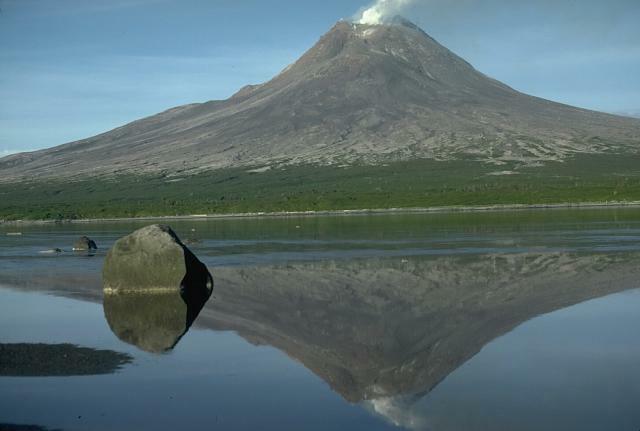 Several explosions occurred at Santa Maria's Santiaguito lava-dome complex during 15-17 February, with ash plumes rising to ~1.5 km above the volcano (or 17,300 ft a.s.l.). Some explosions were accompanied by small pyroclastic flows that traveled SW and NE down Caliente dome. Avalanches of incandescent volcanic material spalled off of active lava-flow fronts. 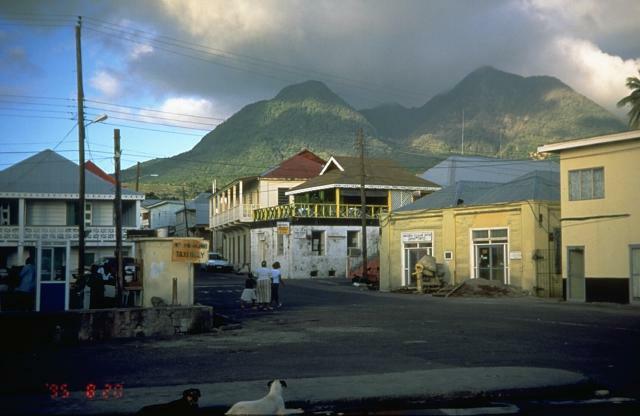 MVO reported that during vigorous ash-and-steam venting at Soufrière Hills on 10 February, a small dark lobe of lava was observed on the western side of the lava dome in the crater. 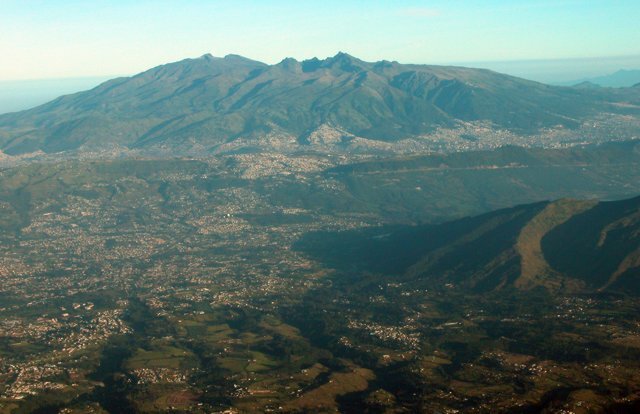 By early on 11 February this lobe had advanced rapidly towards the NE side of the dome and was visible as a steep-sided plateau of lava from inhabited areas around Salem. Photographs from fixed cameras showed continued changes to this lava lobe over the next few days, and the NE margin could be seen glowing at night and shedding rockfalls into the NE part of the crater. The initial growth rate of this lobe was well over 5 cubic meters per second, but the rate declined around 17 February. The new lava lobe began to fill the gap between the lava dome and the northern and western crater walls, raising the possibility that small rockfalls could spill over those areas in coming weeks. The sulfur-dioxide flux averaged 568 metric tons per day. Data from Fourier Transform Infra Red spectrometry measurements indicated an increase in the hydrogen chloride/sulfur dioxide mass ratio in the gas plume from 2.0 in the last reporting period to an average of 2.5 on 13 February. 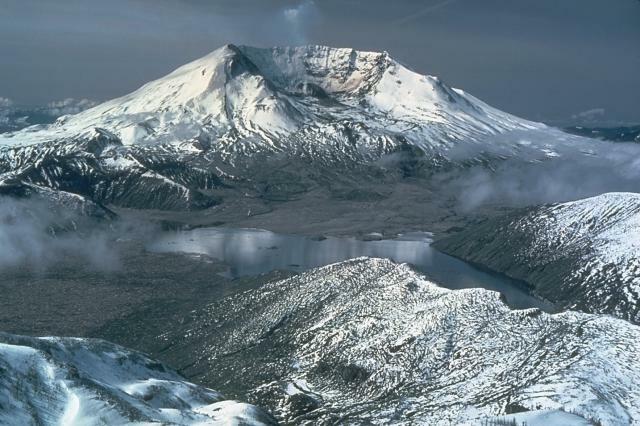 Growth of the new lava dome inside the crater of Mount St. Helens continued during 16-20 February, accompanied by low rates of seismicity, low emissions of steam and volcanic gases, and minor production of ash. Gas measurements made on 15 February suggested that the volcanic-gas flux remained unchanged from recent measurements. Observations made on 17 February revealed that the northeastern active part of the new lava dome was developing a steeply inclined jagged spine. 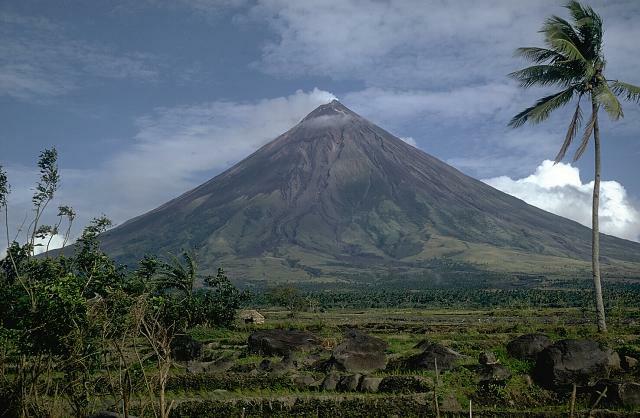 At its top, temperatures as high as 580 degrees Celsius were measured using a thermal sensor. 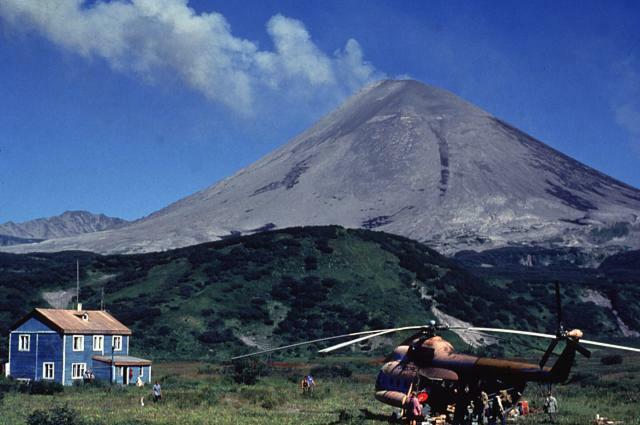 St Helens remained at Volcano Advisory (Alert Level 2); aviation color code Orange. 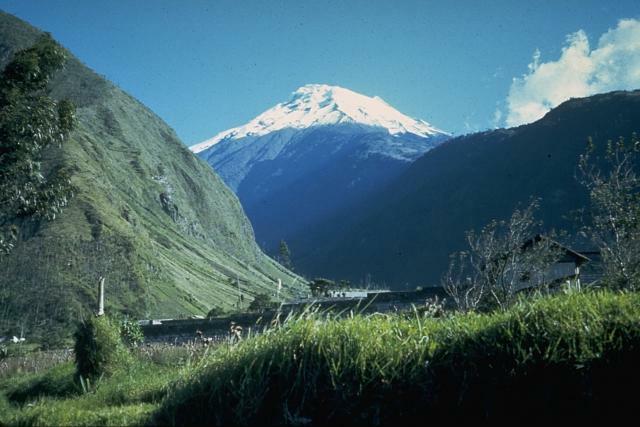 Activity began to increase slightly at Tungurahua around 15 February. Several moderate explosions occurred during 15-19 February, with ash plumes rising as high as 3 km above the volcano (or 26,300 ft a.s.l.) on 15 February. Small amounts of ashfall were reported NW of the volcano in Cotaló, Cusúa, Pondoa, Bilbao, and at the Tungurahua Observatory (OVT) on the 18th. Rainfall generated a small mudflow SW of the volcano in the Quebrada Rea sector of Puela on 19 February.